"Very nice and clean. The staff is very friendly and make you feel welcome. I have been coming for about 3 months and I am happy with them." Bedford Dental is committed to helping patients afford their dental care needs. At Bedford Dental, we are thrilled to welcome your entire family to our practice. In addition to providing our patients with a wide range of high-quality dental services, we are also dedicated to your convenience. We are proud to offer family scheduling, Saturday appointments and a variety of financing options. We look forward to seeing you here soon. You’ll love the team at Bedford Dental. They are compassionate and knowledgeable, and they are ready to assist you with all of your dental needs. Our office is fun and comfortable for both children and adults. Here you will find a children’s play area with video games, flat screen TVs and Netflix in patient rooms and free parking. Give us a call today to learn more and schedule your appointment. Dr. Amina Quadri is a diligent and caring dentist serving Bedford Park, Illinois and surrounding communities. Dr. Quadri attended the University of Illinois, Chicago, where she obtained her dental degree. Dr. Quadri is a part of Bedford Dental where she sees patients for a variety of reasons, including crowns, root canals, fillings, dentures, and dental cleaning. 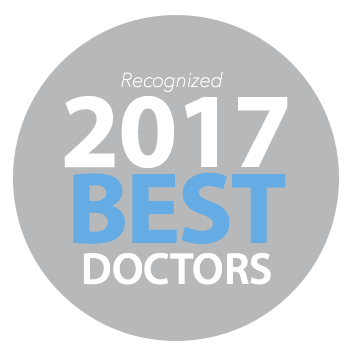 Dr. Quadri is deeply committed to the well-being of her patients. She takes a thorough and precise approach to her consultations to ensure that she is consistently giving accurate diagnoses. Read more about our services. "Staff had superior customer service skills! Dr. Balouch is very prompt and very informative of every step he is going to do with your visit while your in the room, he made my children feel very comfortable during their visit, he ensured If we had any questions and took his time! Overall very satisfied with the office and work done on my children, will be coming here soon for my cleaning and exams!" "Everybody is super friendly. The beautiful dentist extracted my wisdom tooth with no pain whatsoever and kept asking me if I was ok. Another awesome thing is that they don't have you waiting a long time!" "I have been through multitudes of dentist, but not once have a come across one as exceptional as Bedford Dental. Not only is the inside of their building spotless and orderly, so are their services. No matter your schedule, they can and will fit in an appointment. Additionally, you will never find yourself stuck there for too long, no matter the amount of people there are there that day. The waiting list is never too slow, and I can assure you that you will not only leave quick, but above all, you will leave with satisfaction. I recommend Bedford Dental to anyone seeking a well organized dental place that provides not only great services, but great customer care." Have Questions? Call Us Now (708) 496-8896 OR Schedule Your Visit!